The ACC USA line of putters offers a new visionary alignment technology that accentuates the face angle at address, through the stroke and at impact, allowing you to align your putter more accurately to the target. In addition to offering this innovative alignment technology in our mallet and progressive style putters, this technology has been applied to our blade style putters, providing a functional alignment aide to a traditional style putter. 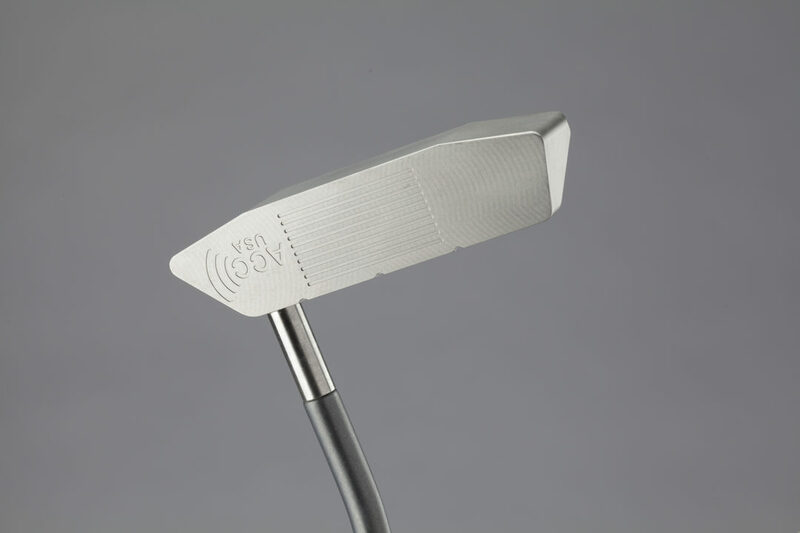 Coupled with a new and improved White Hot insert, the Versa line provides options for every player type. High contrast alignment highlights the proper face angle from address to impact for alignment throughout your putting stroke. High contrast alignment allows your eyes to key in on linear designs on the putter and highlights the face angle throughout your putting stroke and at impact.